Last week, we responded to the recent passage of the Indiana Religious Freedom Restoration Act (RFRA) and the concerns it raised across the nation, mainly regarding the perceived impact it could have in denying certain individuals equal rights. I want to reiterate that our position is, as a State institution, supportive of equal opportunity for everyone. We are pleased to see the swift action with which Governor Pence and the Indiana State Legislature acted last Thursday to amend RFRA and insert language that ensures non-discrimination. The IU School of Medicine will continue to support any efforts that ensure that all those with whom we work and all those we teach fully understand that there is no place in medicine for any form of discrimination. Every patient, learner, and colleague deserves our respect, appreciation and fair treatment. As medical professionals, it’s not just our obligation, it’s our moral imperative. Business Insider, a business and technology news website, gave a bit of a boost to the IU School of Medicine's reputation recently when it issued a list of which medical schools do the best job training primary care physicians. The ranking of 25 schools put IUSM at 9th, ahead of such well-known institutions as Johns Hopkins, the University of Michigan and Harvard. The website ranked the University of Washington first, followed by the University of California at San Francisco. Note: The rankings were created based on the opinions of an anonymous panel of 15 physicians. Negotiating the Divide, a networking event focused on the wage gap between men and women working in medicine and science, will be from 5:30 to 8 p.m. Tuesday, April 14, in Fairbanks Hall, Room 1110. The event is designed to bring residents, students, scientists and fellows together with industry professionals and established physicians and faculty to discuss pay discrepancies and negotiation skills, and to empower female leadership in medicine and science. The event seeks to raise awareness and understanding of Equal Pay Day and the wage gap that exists between men and women training and working as physicians and scientists. An annual event, Negotiating the Divide is being held this year on Equal Pay Day, established in 1996 by the National Committee on Pay Equity to symbolize how far into 2015 women must work to earn what men earned in 2014. The event and parking are free, and food and beverages will be served. Register online for Negotiating the Divide. National Institutes of Health administrator Sally J. Rockey, Ph.D., is the featured speaker for the 2015 Research Day, IUPUI’s annual open house celebration of cutting-edge and multifaceted research and scholarly activity. The event will be from 9 a.m. to 3 p.m. April 17 in the IUPUI Campus Center and is open to the public as well as the campus community. 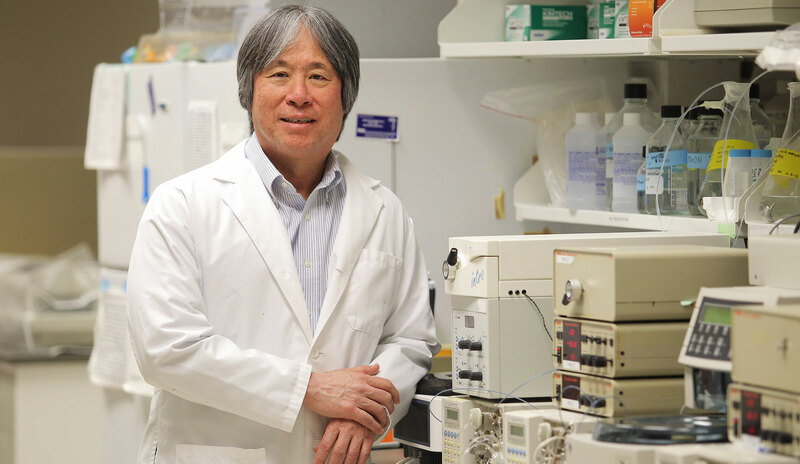 Rockey is the deputy director for extramural research for the NIH, overseeing the development and implementation of policies and guidelines central to the success of NIH-supported biomedical research. Her office focuses on grants, contracts and cooperative agreements, supporting biomedical researchers and organizations across the country. Other IUPUI Research Day activities include poster sessions featuring undergraduate, graduate and professional students, coordinated by the Center for Research and Learning. In addition, faculty research poster presentations will highlight groundbreaking research conducted on and beyond the IUPUI campus, including a community showcase. In conjunction with Research Day, the IUPUI School of Engineering and Technology will host "Innovate IUPUI Open Labs at Research Day” at 2:30 p.m. In addition to touring the school’s new labs and viewing live demonstrations, Innovate IUPUI participants will see studies and presentations related to nano-medicine delivered by technology, safer streets with self-driving cars and more. The walking tour will begin at 2:30 p.m. There is no fee to attend, but pre-registration for the walking tour is required. The CompleteLife Program is hosting an open house from 1 to 3 p.m. Friday, April 24, in its new space, Room C1305, in the IU Simon Cancer Center. Established in 2000 by founder Larry Cripe, M.D., IUSM associate professor of medicine and a hematologist/oncologist at IUSCC, CompleteLife is a unique program that provides services complementary to routine, conventional care for patients and families to improve the experience of cancer. Dr. Cripe will discuss the importance of support programs and talk about the history of CompleteLife. The program's facilitators will be on hand to answer questions about their support services and specialties. Refreshments will be served. For more information, contact Natasha Young, CompleteLife coordinator, at nyoung2@iuhealth.org or 317-944-0301. The event is presented by IU Health. Faculty and staff are invited to attend the 42nd Annual Senior Banquet and Awards Ceremony on Friday, May 8, at the Indiana Roof Ballroom, 140 W. Washington St., Indianapolis. Students and faculty will be honored during the event hosted by the IU School of Medicine Class of 2015. Richard B. Gunderman, M.D., Ph.D., Chancellor's Professor and professor of radiology and pediatrics, will be the keynote speaker. The reception begins at 6 p.m., followed by dinner at 7 p.m. and the program at 8 p.m. Tickets are $40 and can be purchased through PayPal or by emailing nowakk@indiana.edu. The deadline for obtaining tickets and forwarding an RSVP is Friday, April 17. The Riley Child Development Center will hold a celebration Thursday, April 16, to recognize 45 years of providing interdisciplinary diagnosis and treatment of children from across Indiana with developmental delays, behavior and/or learning problems, and stressful life situations. The program is open to all. The event, in the Ruth Lilly Learning Center of the Riley Outpatient Center, will include student poster sessions from 2 to 3 p.m. and 4 to 6 p.m. At 3 p.m., following presentations by D. Wade Clapp, M.D., chair of the Department of Pediatrics, and Andrew Imparato, J.D., executive director of the Association of University Centers on Disabilities, the 2015 Maternal and Child Health Awards will be presented. The Dr. Morris Green Distinguished Leadership Award: Maria Del Rio Hoover, M.D., neonatologist, newborn intensive care unit, St. Mary's Medical Center, Evansville. MCH Outstanding Leadership Recognition Award: LaQuia Vinson, D.D.S., M.P.H, assistant professor, IU School of Dentistry, Department of Pediatric Dentistry. MCH Outstanding Leadership Recognition Award: Allison Gladfelter, Ph.D., assistant professor, College of Health and Human Sciences, Northern Illinois University. Family Leadership Recognition Award: Katherine Herron, Ph.D., research associate, Early Childhood Center, Indiana Institute on Disability and Community, Indiana University. A reception will follow the awards presentation. RSVP online for the Riley Child Development Center anniversary celebration. Health information exchange enables clinicians to have secure access to a patient's medical record including details on care received at other locations. But an important piece of information is typically missing from the electronic medical record -- detailed identification of the facilities at which past care was received. The record may indicate that care was provided by a specific health system. But can the receiving clinician decipher the name? What is IUH or CHN? Where within the health system was care delivered -- main hospital campus? Was the procedure performed in an emergency department, an outpatient clinic or a doctor's office? Although they are not typically used in medical records, well-known standards exist for accurately describing a specific geographic location (i.e. latitude and longitude). These coordinates are of limited use, however, because no standard methodology exists to further describe exactly where and at what type of facility a medical encounter took place. "Accurately and precisely identifying the facilities where health care is delivered and sending that information to the patient's current health provider could have significance for follow up care, quality control and population health as well as being important to system improvement efforts," said Regenstrief Institute investigator Brian Dixon, MPA, Ph.D., assistant professor at the Indiana University Richard M. Fairbanks School of Public Health. Dr. Dixon will highlight this interoperability problem and propose strategies for improving and standardizing facility identification in electronic health record transactions in a presentation to the 2015 Healthcare Information and Management Systems Society's Conference and Exhibition on April 13. The HIMSS Annual Conference and Exhibition is one of the largest health IT gatherings in the world. How can computer-based analysis of free text -- the narrative comments found in medical records and expressed in everyday language or technical terminology -- help improve the quality of medical care? Timothy Imler, M.D., a Regenstrief Institute investigator and IU School of Medicine assistant professor of medicine in the Division of Gastroenterology and Hepatology, will present "Quality Monitoring Utilizing Natural Language Processing" at the 2015 Healthcare Information and Management Systems Society's Conference and Exhibition in Chicago on April 14. "There is a vast quantity of medical knowledge in text documents. Employing natural language processing, a linguistic technique using sophisticated software to extract meaning from spoken or written language, allows the computer to 'understand' medical records in ways that were not possible previously," Dr. Imler said. "For example, with natural language processing we can use computers to track quality of care at the individual provider, service line and health-care systems levels. That gives us a practical, new tool for enhancing quality." The Regenstrief Institute's Center for Biomedical Informatics is an innovator in the clinical application of natural language processing. At the HIMSS gathering Dr. Imler will explore how the utilization of natural language processing can be implemented to improve care. A gastroenterologist and informatician, he recently published a multi-center study of the impact of natural language processing on colonoscopy, including quality and completeness of reporting of the findings, as well as recommendations for the surveillance interval. The HIMSS Annual Conference & Exhibition is one of the largest health IT gatherings in the world. Jen Walthall, M.D., IU School of Medicine associate professor of clinical emergency medicine and of clinical pediatrics and division chief of emergency medicine and pediatrics, recently received the 2015 Early Careerist Award from the IU Richard M. Fairbanks School of Public Health Alumni Association. Dr. Walthall also is deputy health commissioner at the Indiana State Department of Health. Graduating from IUSM in 2000, Dr. Walthall completed her residency in emergency medicine/pediatrics in 2005. In 2010, she returned to the IUPUI campus to embark on her Master of Public Health, with a concentration in social and behavioral sciences, which she completed in 2013. Dr. Walthall practices medicine at Riley Hospital for Children's Emergency Medicine and Trauma Center and is Indiana’s first deputy commissioner of health and director of health outcomes for the Indiana State Department of Health. Dr. Walthall received her award March 31 at the school's annual Night of Gratitude. Bill Thompson, chairman of Hall, Render, Killian, Heath & Lyman, P.C., received the 2015 Distinguished Alumni Award. “As we pause to recognize and appreciate those who do so much to support our students, it is fitting that we also recognize the success that results from an investment in our students,” said Founding Dean Paul Halverson. “Those who spend time teaching, mentoring and encouraging our students make a difference for far longer than the semester or two they spend with the student. They influence the life of each student and change the trajectory of their career. Reflections, the IU School of Medicine's student-run creative arts therapy journal, is now accepting entries for this year’s publication. Submissions may include drawings, paintings, photos of sculptures, poetry, essays, photography, and digital media that relate to this year’s theme -- ME in MEdicine: Self in the Sprint. Current IUSM students, graduates, faculty and staff are invited to share their thoughts about “self,” including but not limited to, how they have defined, lost, retained, or found themselves in the "sprint" that is medical education and/or a career in medicine. All submissions are reviewed by a selection team, and the strongest pieces are chosen for publication in the journal, which includes both online and print versions. Word document or high-quality file (if photography). Two sentences about yourself and two sentences relating submission to the theme. Whether you would like the piece to be anonymous. Send entries or questions via email to omslcat@iupui.edu by May 29. Multiple submissions are accepted. The application deadline for the IU School of Medicine Biomedical Research Grant and the Research Enhancement Grant is 5 p.m. Monday, May 4. Applications and more information for the Biomedical Research Grant and the Research Enhancement Grant are available via Sharepoint. The IU Simon Cancer Center is now accepting applications for the Merilyn Hester Scholarship Fund. 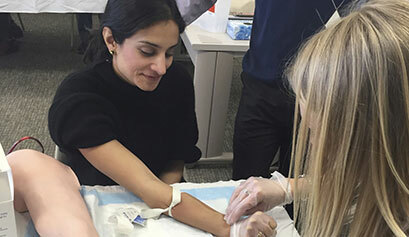 Established to assist medical and/or doctoral students pursuing degrees in biomedical sciences, the fund awards scholarships to applicants demonstrating an interest and potential for conducting pediatric hematology or pediatric oncology research and who have not received any other type of scholarship or grant for the upcoming academic year. Successful applicants are students who have a strong academic record, have outstanding character and well-defined professional goals. Funding is up to $8,000 a year with the number of awardees determined by the quality of applicants and available funds in the given year. Apply by May 1 for the Hester Scholarship. Andres Piscoya, MSIII at IUSM-South Bend, authored an abstract that has been accepted for presentation by the Association for Research in Vision and Ophthalmology at their annual conference in Denver in May.